Many of my friends have their own small businesses. As someone who is keen on supporting small businesses and buying local, it seems fitting that this post should be the one to really kick-off the new WDM blog. I want to talk about Google Maps SEO. It really is a HUGE deal for small-medium sized business who can’t compete with the corporate giants of the industry. 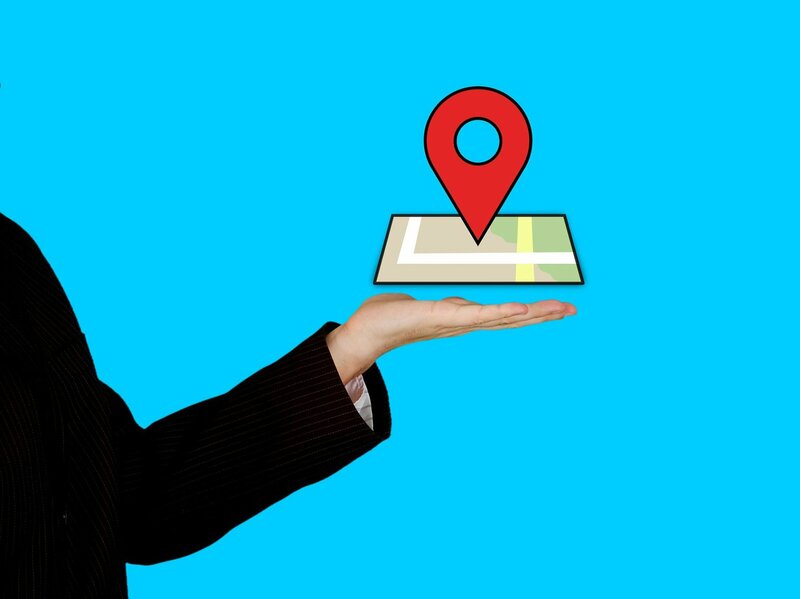 Google maps has levelled the playing field as it allows your businesses to appear locally – AHEAD of your bigger competition. If you have a business that serves the local community (from restaurant owner to accountant) then strap yourself in. This is one you don’t want to miss. If you’ve spent any time trying to improve your online presence then you’ll know just how easy it is to get bogged down with so many details that you end up with no idea where to start. It so often happens that you start looking at one specific task and end up going in a completely different direction. I can’t cover all aspects of online marketing in just 1 article but I can show you a great place to start and form the basis of a strategy. You can begin by spying on your competition. When I mention this to people it often conjures up ideas of hacking and other unethical practices. But that really isn’t the case. For the purposes of this article, spying on your competition simply means using data that’s openly available to uncover what your competition is doing well. How Can Your Competition Help You? The intention here is simple. You want to use the information from your competitors to improve your own strategy. In a previous post (Digital Content Marketing – The Missing Link) I gave an example that if one of your competitors has been running a Facebook ad’ for 3 months straight then it’s pretty obvious it’s working well for them. You can apply this thinking to just about any form of online marketing. Today we’re going to apply it to SEO. Specifically Google Maps SEO! Let’s assume for the moment that you’ve done your keyword research, you know which keywords have the right volume, buyer intent and an appropriate difficulty level. You also know that they trigger a maps listing in Google search results. Having done all that you will also know who is ranking in Google for those keywords. If your competition is specifically targeting that keyword and ranking well then they’re doing it for a reason. They are backing up your own research and saying “Hey, we want to own this keyword on Google”. How do I rank in search engines for my target keywords? How do I target the right keywords? How do rank in the top 3 on Google Maps? Am I showing for the right places in local search? What should my social media strategy be? Do I need every social channel (Instagram, Youtube, Facebook etc)? How do I measure what’s working and what isn’t? Well before you spend weeks (or even months) and your entire year’s SEO budget, it might just be worth seeing if your competitors have already done the research for you! As an extra bonus, this strategy can also help you spot gaps your competitors have missed. Moving back to Google Maps SEO. I’ll use our own niche as an example of this. 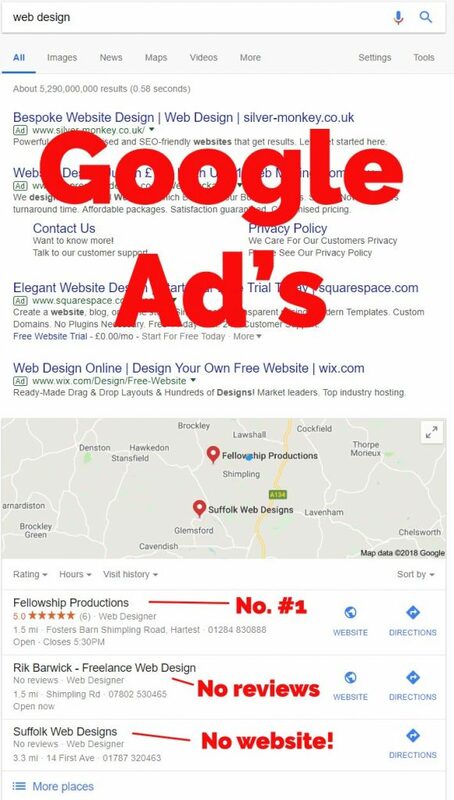 A quick search in Google tells me that the term “Web Design” brings up a local map right at the top of the page (under the ad’s of course). Ranking for such a huge term nationally would require a massive devotion of time and budget. But if you take the time to master some Google Maps SEO knowledge, it’s a very different story. 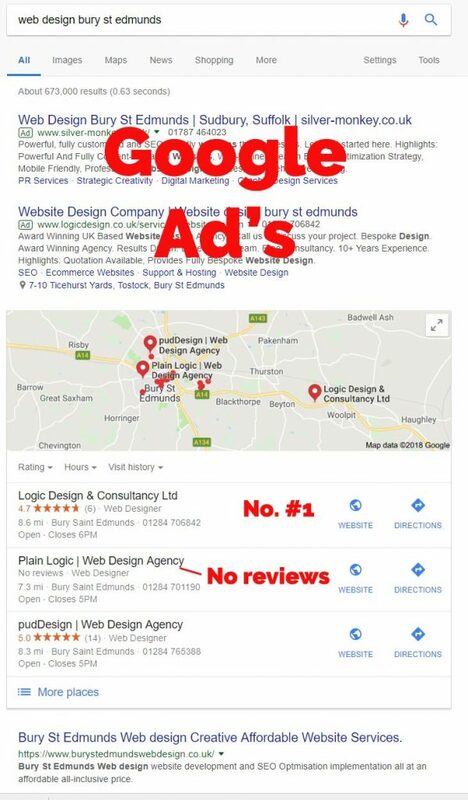 When I look on the map (at time of writing) I can see that only 1 web design company in the top 3 results has even bothered to get reviews. The 3rd in the list hasn’t even claimed their website! But we must quantify that! Remember, this is a local map and will (usually) just show the results nearest to my location. As we’re in a rural location we’re not likely to see a lot of competition. It would be easy to get our website here but would it be worth it? Now the competition is a little tougher but we can still see a web design agency in the top 3 that hasn’t utilised reviews. Even at this level we can see a web designer in the top 3 with NO reviews and no website linked to their listing! How much traffic (and potential customers) do you think they’re missing out on? The only reason they are showing at all is (almost certainly) because they have all 3 keywords in the business name. Spending some time (or a little money if they don’t have the knowledge) on fixing that could bring them an instant increase in web traffic and potentially customers. You may (quite rightly) be asking at this point why WDM isn’t listed there. Well at the time of writing, it’s a brand new site so we just haven’t got around to it yet. But check back soon, I can assure you we’ll be there. So – 3 quick searches on Google has shown some weak spots in the competition. It’s also shown where we can easily rank for some of our target keywords. That took less than 2 minutes. We’d need to dig a little deeper to be sure we don’t waste our time but it’s a great example. But just how do you beat the competition and use Googles Maps SEO to get in that top #3 spot? This is where the magic lies my friend. Reviews on your website are great. Reviews on Facebook and other social sites are good. Reviews on sites like Trustpilot are also fantastic. Google will usually find these and give you some extra kudos (including those little stars some websites have in the search listings if you structure things correctly). 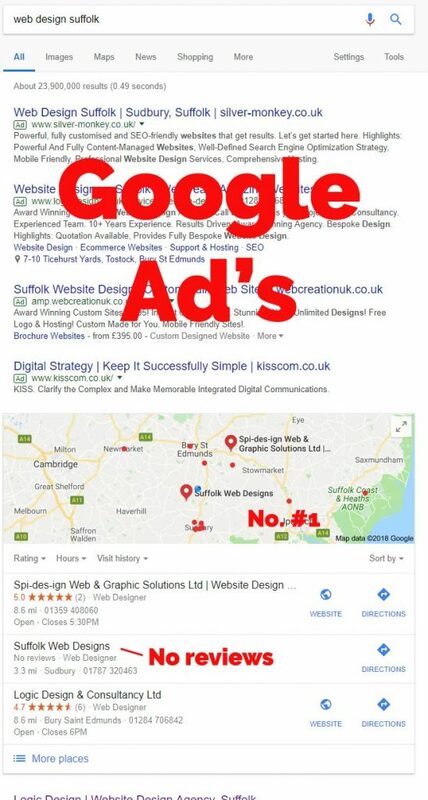 But to really have an impact on your Google Maps SEO ranking it’s worth putting some effort into getting local reviews on Google! “What does that mean?”, I hear you ask. When I say local reviews I mean customer reviews from the location you are targeting. 1 – It carries trust as Google already have lots of information on the reviewer. It’s indicates the review is genuine. 2 – Even if a business has multiple locations some of those locations may receive better reviews than others. If a review is left based on a specific branch/location then that tells Google that your specific location has been reviewed. If you’re in a position to ask customers for a Google review while they are actually AT your place of business then that is the cherry on top! If they take a photo and upload that with the review than that’s a sprinkling of sugar to go with it! This is because Google knows the location of the reviewer and any photos uploaded will already be tagged with the GPS coordinates (your phone does this automatically). This simply means to verify with Google that you are the owner of your website. It usually means placing some code on your website (or with your domain registrant) to prove to Google it’s yours. A local citation is a mention of your business (preferably with address and phone number). Being found in the right places (prominent local directories for example) and having a higher number of quality citations than your competitors will give you a real edge in ranking. This is simply the number of pages on your website that google has indexed in it’s search results. Ranking for images alone can be a great strategy but in this case we’re talking about having images on your Google Profile. Ideally they will be geo-tagged, high quality, and if you really want to go all the way then get them taken by a trusted Google photographer. This is the number (and quality) of backlinks your site has. The more high quality natural links you have the better. There are some other factors including title tags and crawl errors, but title tags should be part of you On-Page SEO anyway and other factors play less of a role in your ranking. Of course – It goes without saying that your business should have a presence in the location you’re targeting. How to spy on your competition. Head on over to Moz.com (this link will take you to the right page) and type in the domain name of your competitor (do this for each one). You’ll be given the DA score and the number of backlinks they have. You’ll even be able to find out where those backlinks came from! Pretty obvious this one but just take a look at your competitors maps listing and you’ll see how many reviews they have. Same applies for images. Also, if they have a website linked to the listing then the site is owner verified. Head back to Moz.com (links to different tool this time). Put in the business name and postcode you want to check. Click on the correct listing and you’ll see a complete breakdown of citations. You’ll see where they come from, how complete they are, and any inconsistencies will be highlighted. Now you know where your competition is getting their citations you can easily grab yourself some of those too. You can find this out easily by going to Google and typing ‘site:domainname.com’ (replacing domainname.com with the site you are checking. you do NOT need the www. There you go. If you made it this far then thanks for sticking with it. I hope this has been a helpful introduction to Google Maps SEO and getting your business ranked. Look out for the next post coming soon. If all this sounds like too much work and you’d like us to handle it for you then please feel free to get in touch via our contact page.